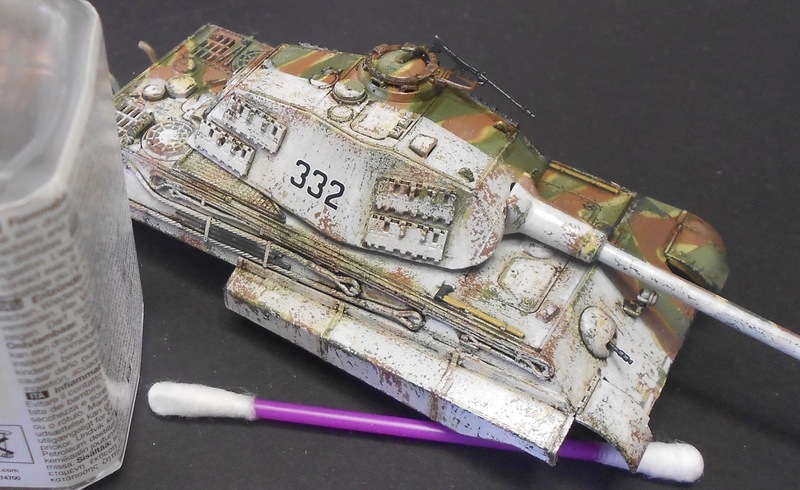 "Small scale AFVs can be fun…"
François truly is an all-round modeller and is able to turn about any model into a little gem. 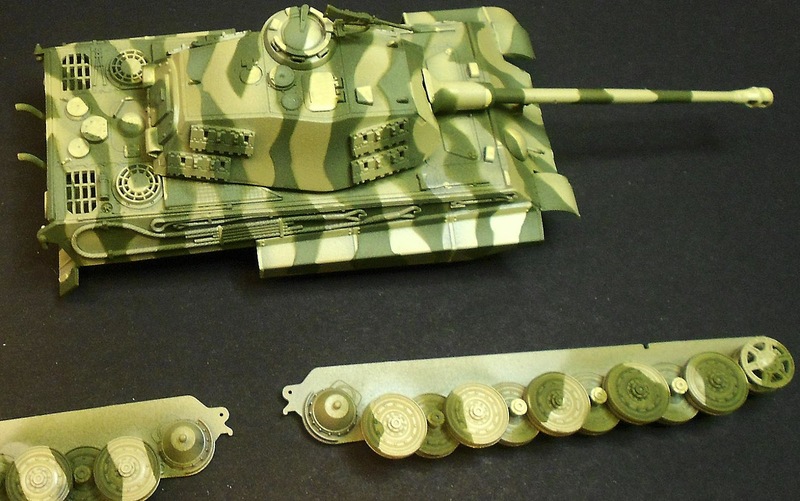 Being pretty creative, he turned Revell’s new-tool 1/72 scale King Tiger into a fantastic looking model…twice! 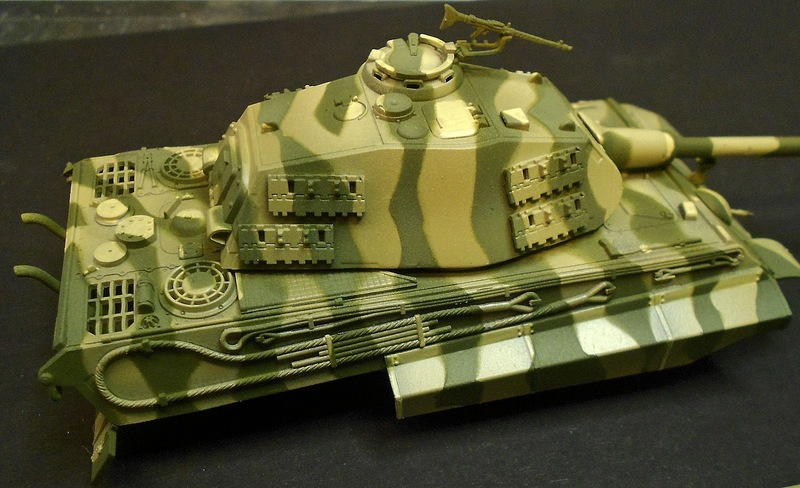 The Revell King Tiger is a very nice looking model. It’s not difficult, has a relative small number of pieces to deal with and for a very little price, it will provide you with a lot of fun! 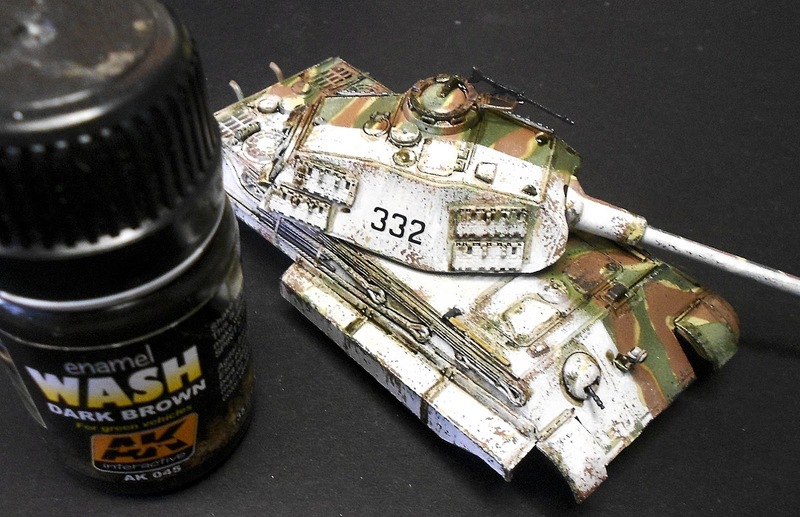 Actually, these small-scale models are perfect to experiment new techniques, as the building time is quite fast. 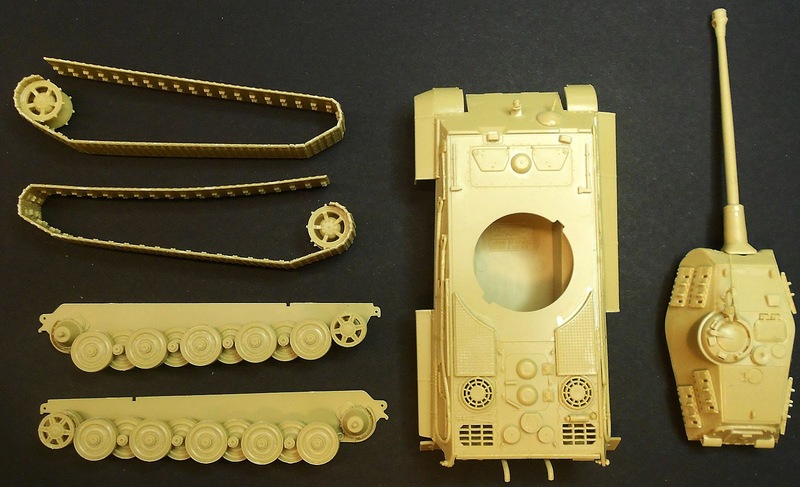 And you don’t need be afraid to ruin an expensive model that is filled with lots of aftermarket stuff. Building the tank was done buy my friend Nico, except for those annoying wheels and small tracks parts :). 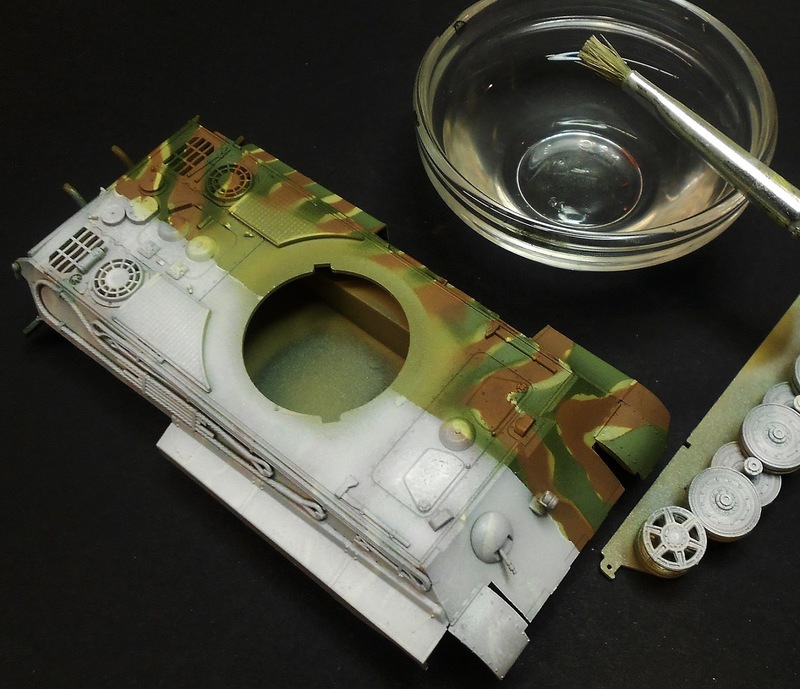 The total building time will not exceed a good evening of work, so painting process can start quickly. For this model, I wanted to experiment with a different idea. 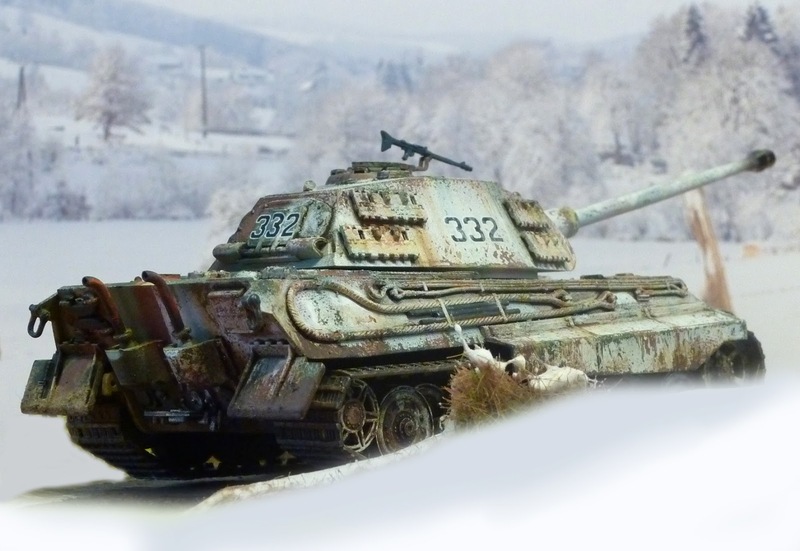 Because you have two decorations in the box, why not have them BOTH on the tank? First I primed the model. 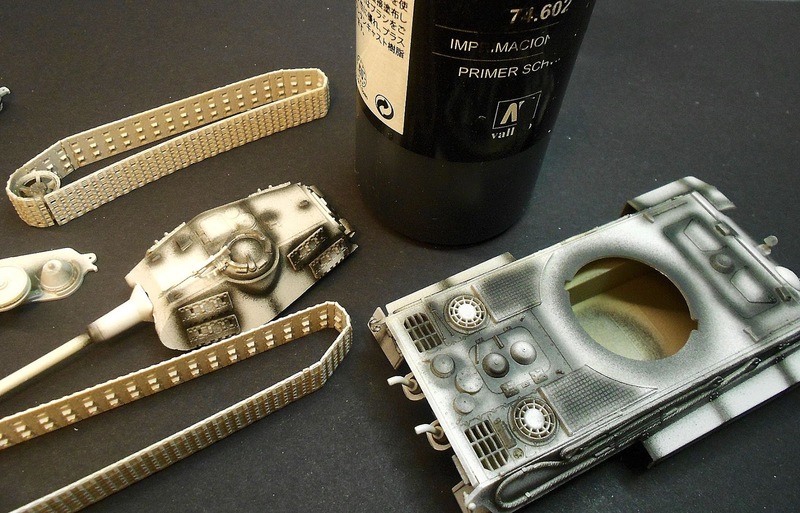 I like to use two types; the Citadel spray can: it is great and fast, and Vallejo polyurethane primer, which gives good results too, but requires at least 24 hours of drying time… your choice. I used a soft pencil rubber eraser as a “blue tack” mask. I think this is easier to work with, being more flexible and soft than blue tack. 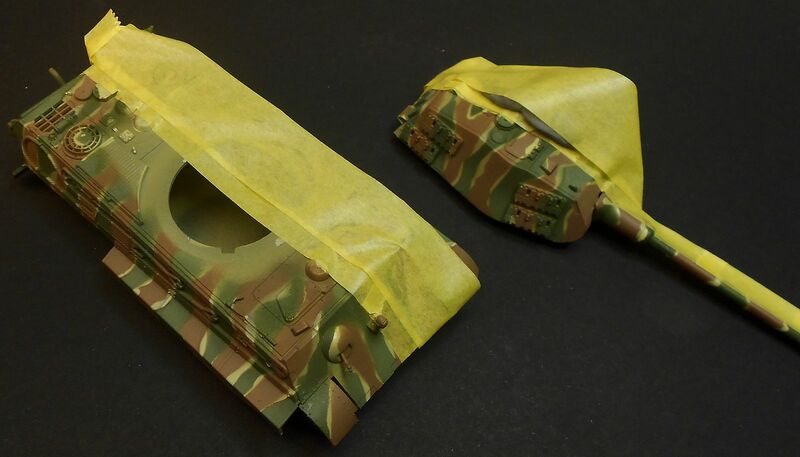 After looking at some reference pictures on the net, I masked the yellow to paint the green camo. 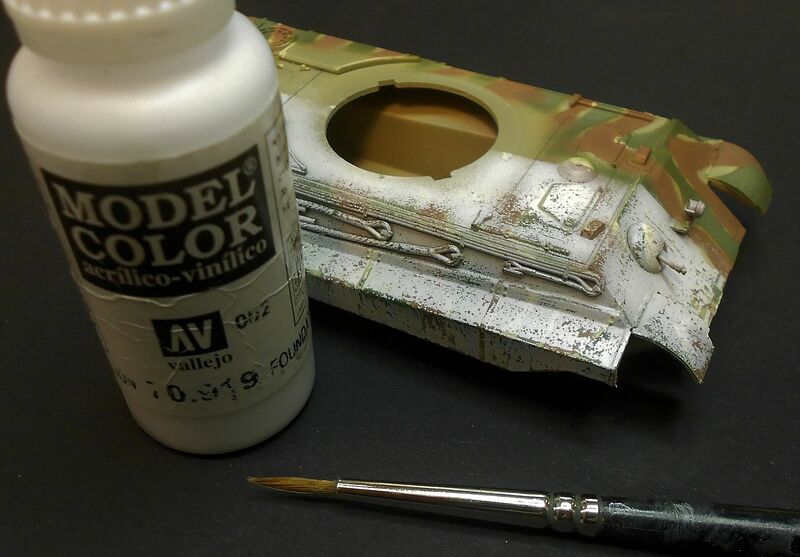 For this, I used Tamiya dark green, mixed with a little bit of dark yellow. Next step was the red brown colour. Same technique, with satisfying result. Done :) I secured the paint with a layer of Revell gloss varnish. 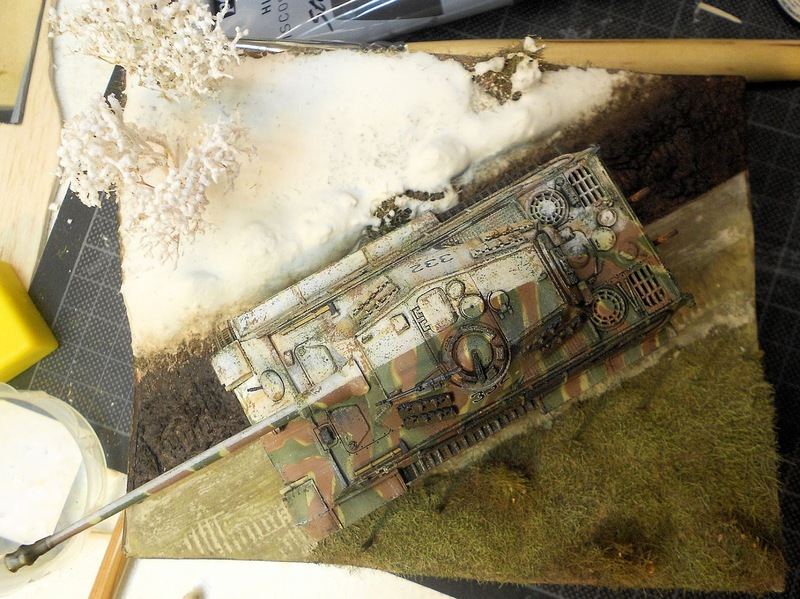 Time to do the winter camouflage on one side of the tank: the first thing I had to do was to mask the “summer side” with Revell masking tape. 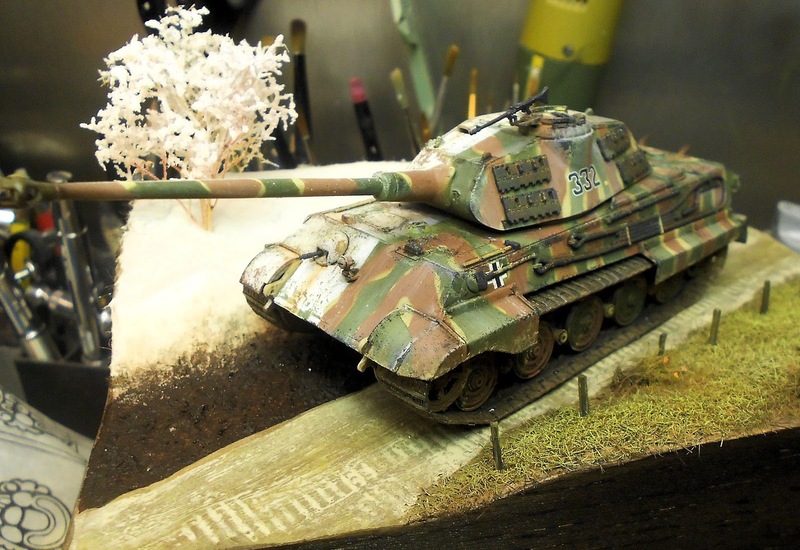 When this was done, I used the hairspray technique, well known by most modellers now. 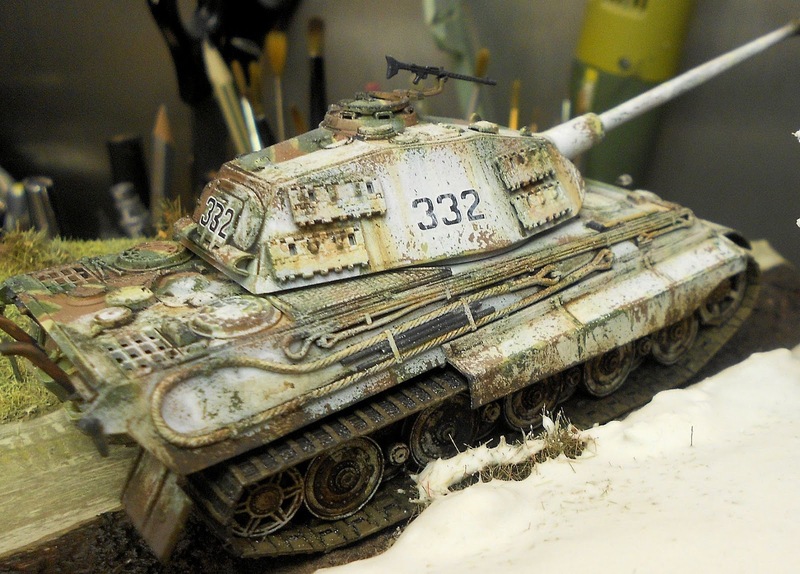 I used a product by AK, followed by a coat of white Revell Aqua Color paint. 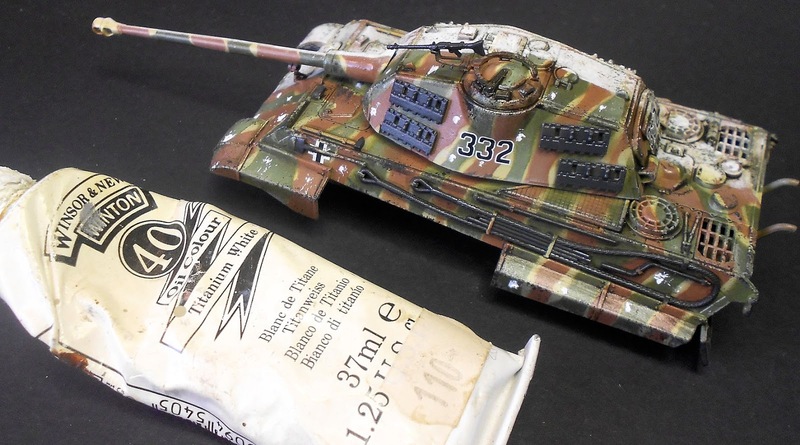 It is important that you choose you paint well, as some brands will not work well for this technique (Vallejo paint does not rub off very well in my experience). After letting the paint dry a minimum amount of time, it’s time to rub: some water, a stiff paintbrush, and voila! It’s easy to do and with good results. 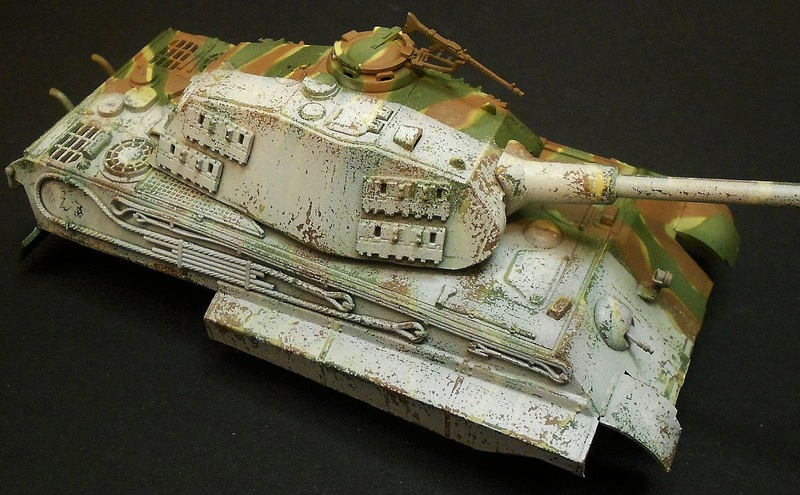 I painted all the details with Vallejo paints and used pigments do dirty up the lower parts of the tank. 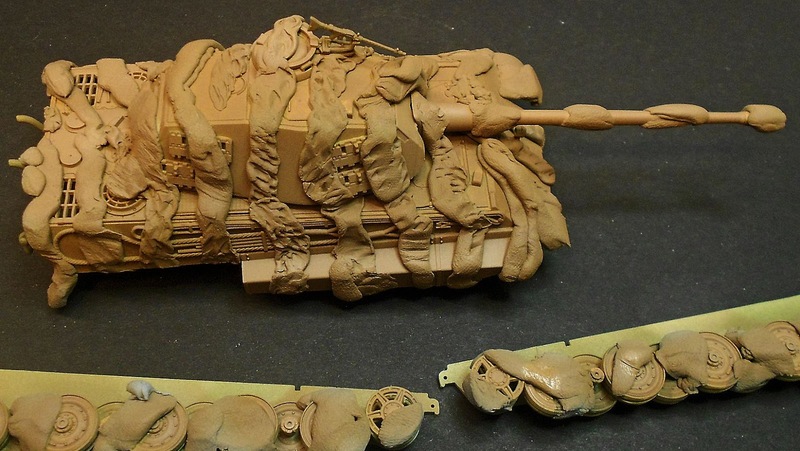 Before you know it: the tank is done. For me it was possible to achieve this result in just two evenings. 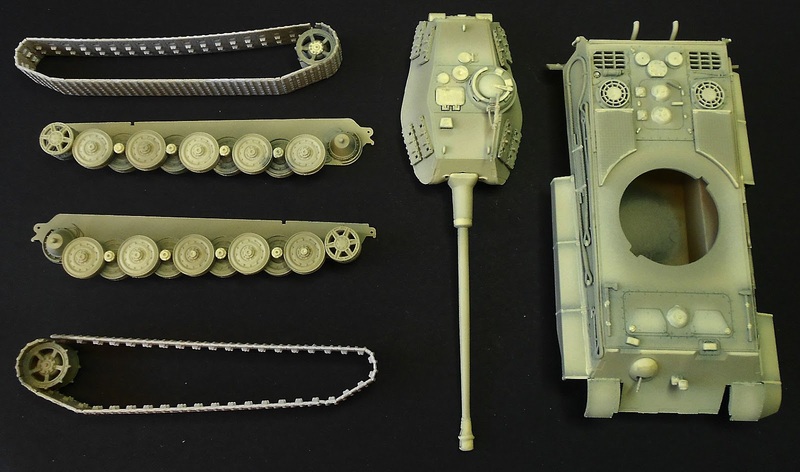 Then again, it is quite a small kit in 1/72. The base was done in two seasons as well. I used an insulation board for the base with a balsa frame glued to it with Fix-all. Building the rest was pretty regular stuff: Das clay was used for sculpting the ground. 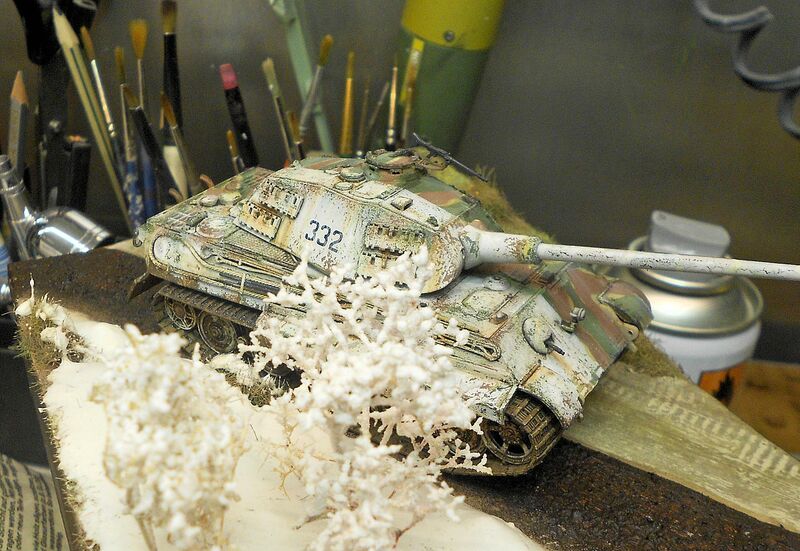 When this was completed and the clay dry, I covered it with a mix of white glue, plaster and pigments for the earth. For the summer part some static grass and fence was used, while for the winter scene, snow was made with white glue, micro balls and water. The tree was made using simple seafoam covered with micro balls. 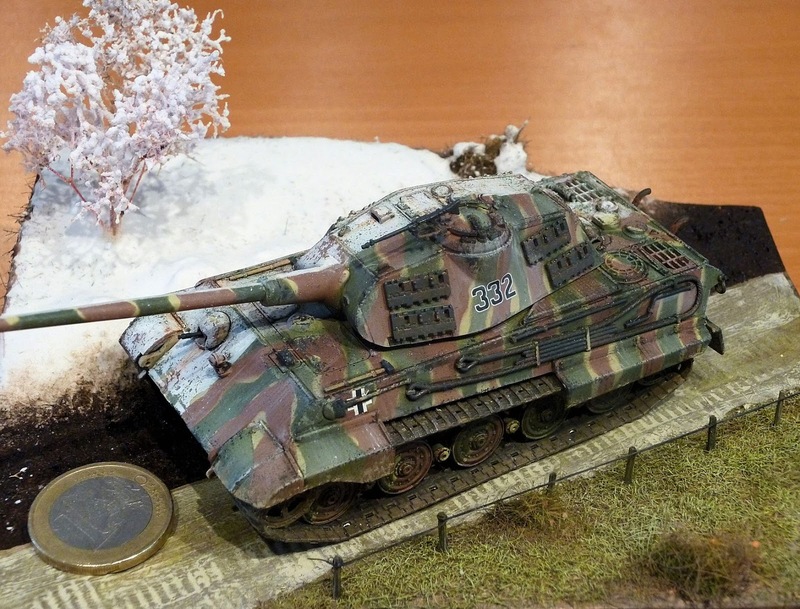 I was feeling pretty good about the result and placed the model in competition in the local model show in Antwerp, Belgium. And guess what: it got me a gold medal! 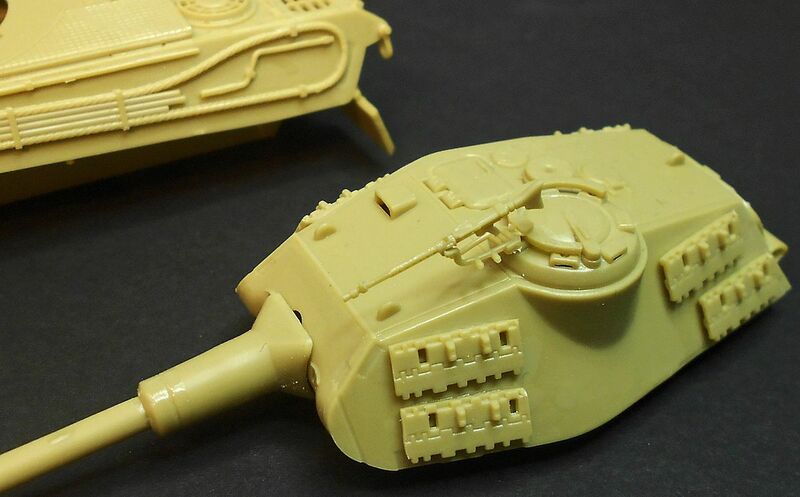 I was pretty surprised since this is my very first 1/72 scale vehicle. I guess the judges thought it was a different configuration for a change and rewarded originality. 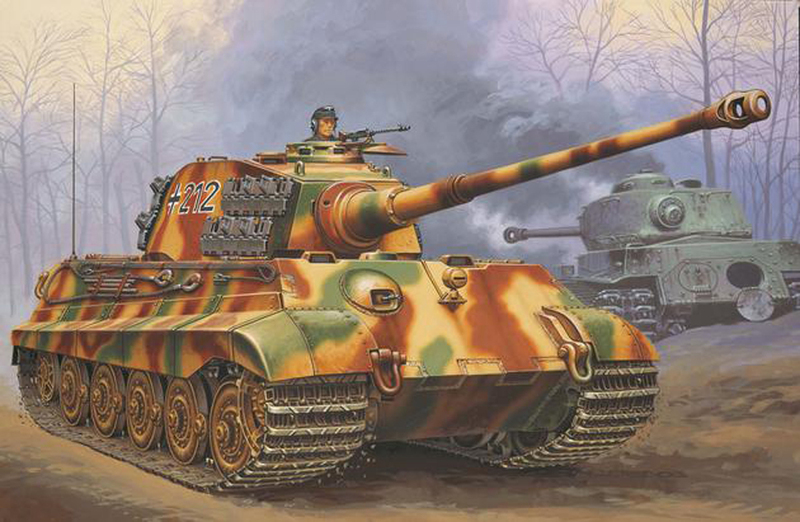 To conclude, I think this Revell kit is a great model, simple to build with good overall details. 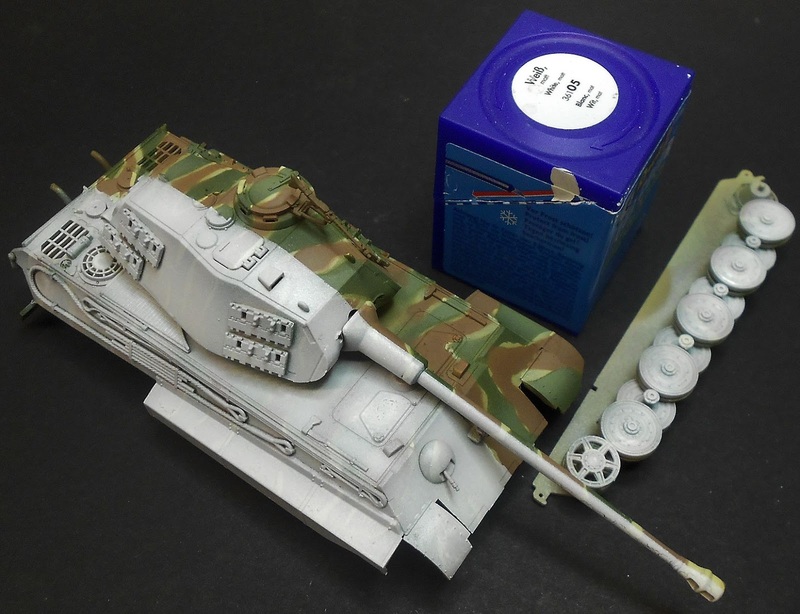 Modellers with or without experience sure will have fun with this one. 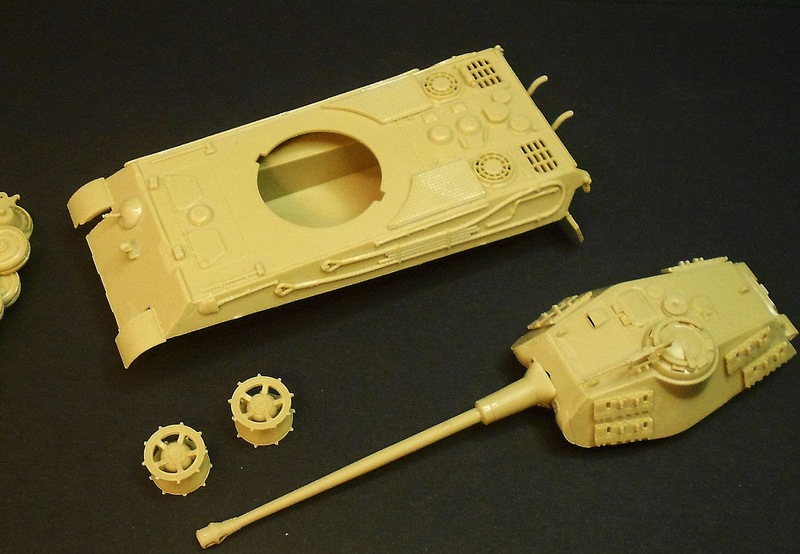 For a couple of dollars, euro or pounds, you will have a great modelling time. For me, there is no doubt this will not be my last trip to Braille scale land. 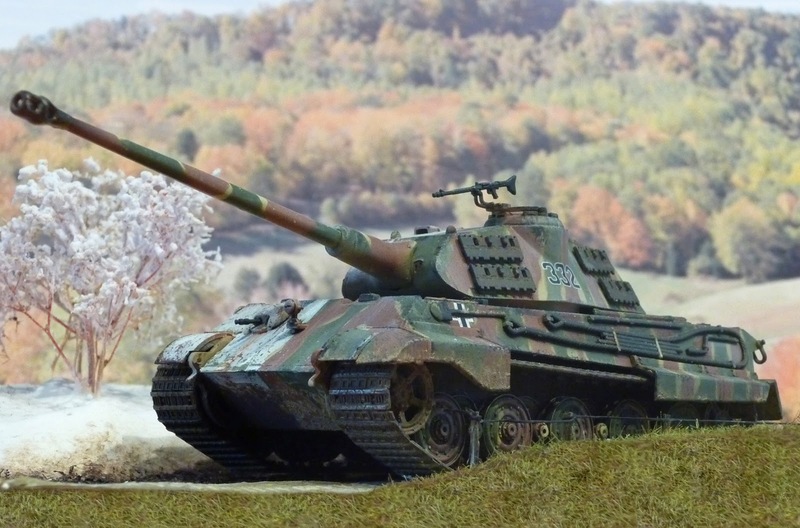 Just to give you an idea of the size of this King Tiger, here is a photo with a 1 euro piece.